The Hour Meter Bracket allows you to use screws in addition to the 2 sided tape to secure your hour meter. 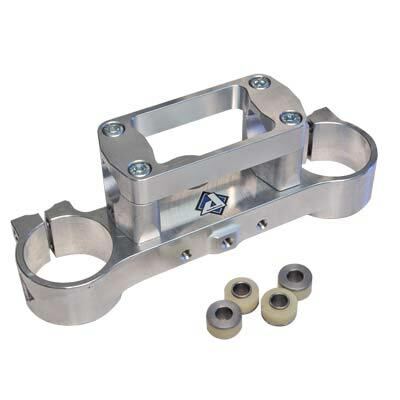 The bracket is machined aluminum and was designed to mount on the accesible gas tank bolt. The hour meter is an essential part of your bikes maintenance, this bracket makes it easy to read.